What is USB-C and why is it such a big deal? USB is the single most important connection type we use in electronics today. It connects our keyboards and mice to our computers, our phones to their chargers and our USB memories sticks to our laptops. The first word that makes up its acronym couldn’t be more apt – it truly is universal. In fact this became even more the case in 2013 with the latest update to the USB 3.1 standard and the introduction of the new USB-C connector. For example Apple's latest MacBook uses just a single USB-C socket to not just connect to all its peripherals but provide power too. Google uses the connector on its current flagship phones, the Nexus 6P and Nexus 5X. But just what is USB-C? Let's take a closer look. The first thing to realise about USB-C is that it's not a new USB standard in the same way as USB 1.1, USB 2.0, USB 3.0 or the very latest USB 3.1. Those upgrades focus on defining what the connection can do in terms of speed and feature improvements whereas USB-C is all about the physical connection, like with microUSB and miniUSB. The crucial difference here, though, is that unlike micro and miniUSB, USB-C is aimed at being a replacement for both ends of the cable. To better understand what we mean you first need to understand the differences between the existing versions of USB and the various Type-A and Type-B connections. USB Type-C received another big boost in the form of Thunderbolt 3. In June 2015, Intel revealed that its latest version of the port would piggyback on the new USB Type-C connector, giving it all the benefits and a new reversible look. 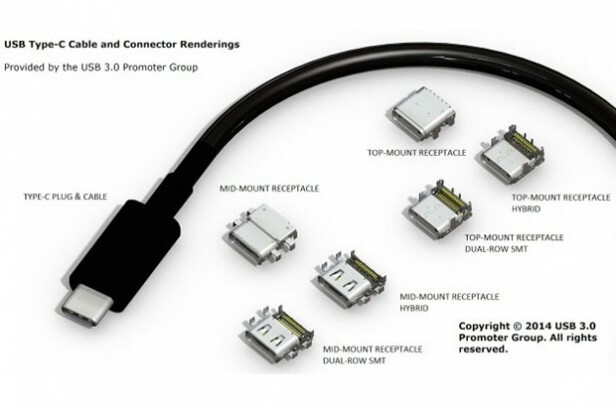 It's not all smooth sailing though - as Thunderbolt requires circuitry in the cable itself, it won't be fully interoperable with Type-C.
Thunderbolt is a lot faster - well, four times - than the USB 3.1 standard which Type-C is built upon, which will obviously give plenty of benefit to those who need to transfer lots of big files very quickly. OnePlus, the exciting young Chinese smartphone manufacturer, went with USB-C for its second flagship phone, the OnePlus 2. Google also implemented it into its latest flagship phones, the Nexus 6P and Nexus 5X. This is telling, as Nexus phones typically act as reference designs for other Android manufacturers. 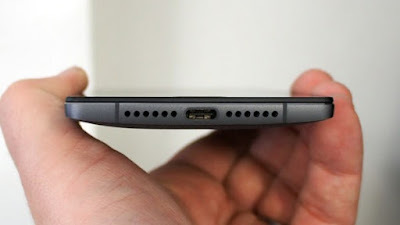 Sure enough, rumour has it that the Samsung Galaxy S7 will sport a USB-C port, as will the LG G5. Pretty soon, it will be interesting to see a decent Android phone released without one. USB versions refer to the overall standard and they define the maximum speed of the connection, the maximum power and much more besides. They theoretically could be applied to any shape of connector so long as the computer and device are connected up correctly. Although USB 1.0 is technically the first version of USB it never really made it to market so USB 1.1 is the first standard we all used. It could deliver data at 12Mbps and maximum current draw of 100mA. The second version of USB arrived in April 2000 and it provided a massive boost in maximum data throughput, up to 480Mbps. Power draw was also increased to a maximum of 1.8A at 2.5V. USB 3.0 was a big change as it brought new connector types to allow for its extra speed and power draw, with them often coloured blue to denote their prowess. USB 3.0 can run at up to 5Gbps, delivering 5V at 1.8A. It arrived in November 2008. The latest and greatest version of USB was released in July 2013, though uptake is still almost non-existent. It can deliver 10Gbps of throughput while up to 2A can be drawn over 5V, and optionally either 5A over 12V (60W) or 20V (100W). This is the reason the new MacBook can be powered just by its USB connection. Type-A is the classic USB plug as we have long known it. The chunky rectangular plug was the original design and it remains the standard plug for use at the host end of the USB cable. Now Type-A has gone through a number of changes to accommodate different versions of USB, with more pins added to allow for the faster speeds of USB 3.0 for instance. However the fundamental design of the plug has remained the same, with the new connections incorporated in such a way that all USB Type-A plugs and sockets are compatible no matter which version of USB they use. It’s not always the case that whatever you plug in will work, as the newer standards of USB also deliver more power, which may be required by whatever device you’re plugging in, but for the most part they’re completely interchangeable. There are also some variations of Type-A including Mini Type-A and Micro Type-A but these were never widely adopted due to the complicating nature of having different types of USB socket on host devices. They are now deprecated. 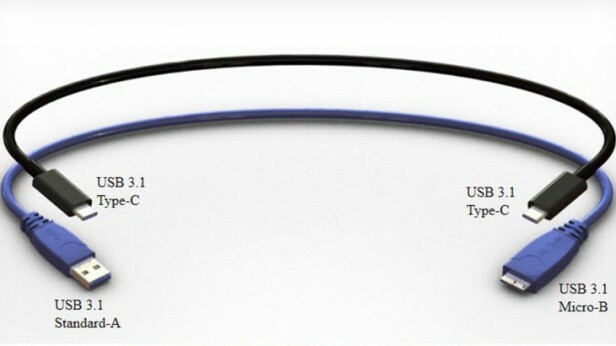 Although there are some uses for Type-A to Type-A USB cables, typically the other end of a USB cable uses a Type-B connector. This denotes the device attached at this end as being the client and because these types of device can vary so much we see much more variation in plug/socket types used. The original type-B plug is the odd tall plug with the sloping top corners that you typically find on printers. This was extended for the USB 3.0 standard to include an extra bump for some new connections. The classic miniUSB and microUSB are also variations of Type-B, along with the clunky microUSB 3.0, which uses a normal microUSB connection with an extra plug that carries more power connections. Variations on Type-B have been far more widely adopted due to the sheer necessity of having smaller plugs at the client device end. Indeed there are many devices that use entirely proprietary shape Type-B USB sockets, such as many of the odd shape plugs used on older mobile phones. This brings us to USB-C. Where Type-A and Type-B have had to work within the framework of being backwards compatible, Type-C is intended to replace both and is designed to be small enough to not need any mini or micro variants. The intention is that it will completely replace all types of USB on both host and client devices. What's more its headline feature is of course that it's reversible. This means you no longer have to get the plug the right way round - or even the cable the right way round - but instead, like Apple's Lightning connection, it'll work whichever direction you try – no more USB superposition. To enable this USB-C cables actually require circuitry to tell which way round they are and route power and data in the right way, just like on Apple's Lightning connection. This is unlike all existing USB standards which are just 'dumb' cables. USB-C also builds on the new USB 3.1 standard so to all intents and purposes is the connection type that brings in the new power and speed advantages of USB 3.1. USB-C is still backwards compatible with existing USB variants, but that of course requires adapters. 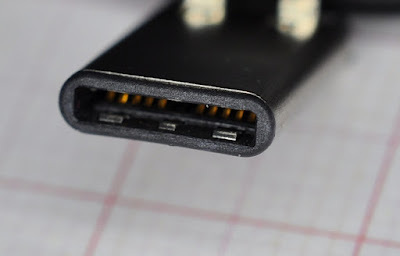 Concerns have been raised about the physical design of USB-C as the connector seems a litle fragile with its hollow plug and a delicate tab in the socket. In contrast Lightning uses a sturdy thick metal plug that is far more resilient. We'll have to wait a little longer to see how well Type-C devices hold up to wear and tear over a year or more. All told, USB-C is definitely a step in the right direction and we can't wait for more devices to start adopting it. We'd prefer to have more than one on the next MacBook, though, please Apple.